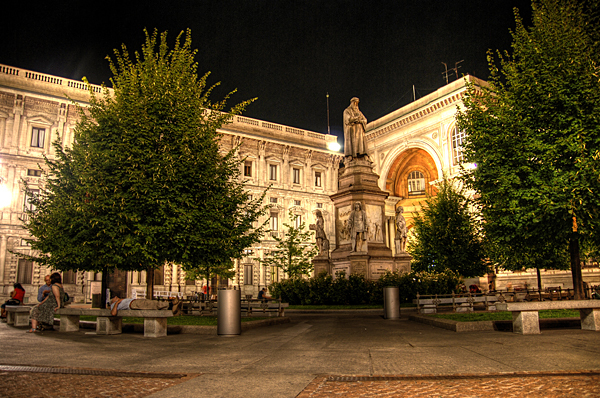 It's a small square on the side of the famous Galleria Vittorio Emanuele II which is a quite unusual shopping mall. In the foreground of the picture you can see the monument of Leonardo da Vinci. That's enough of a reason right there for me to go back to Europe. I really like how well lit you caught everything.